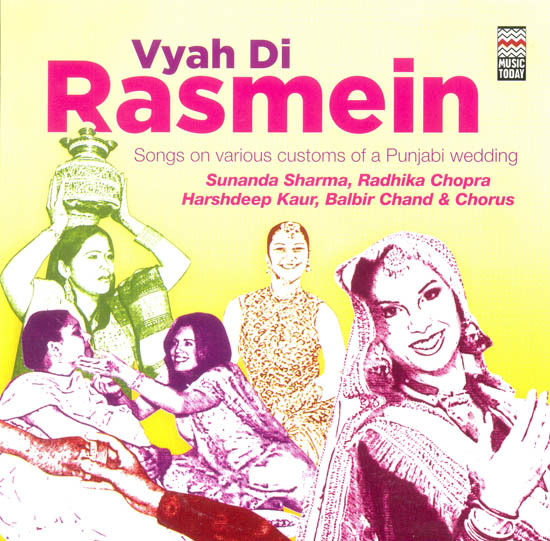 The CD is a collection of songs on customs and traditions of a Punjabi wedding sung in the bride’s and the groom’s households. This unique album has a songs for every little custom, from Shagan to Chakki Chungna, Churha to Vatna, ghodi to vidaai, baar rukai to paani vaarna and many others. These customs are integral aspects of a Punjabi wedding and are a way to carry forward the tradition without which any Punjabi wedding is incomplete.